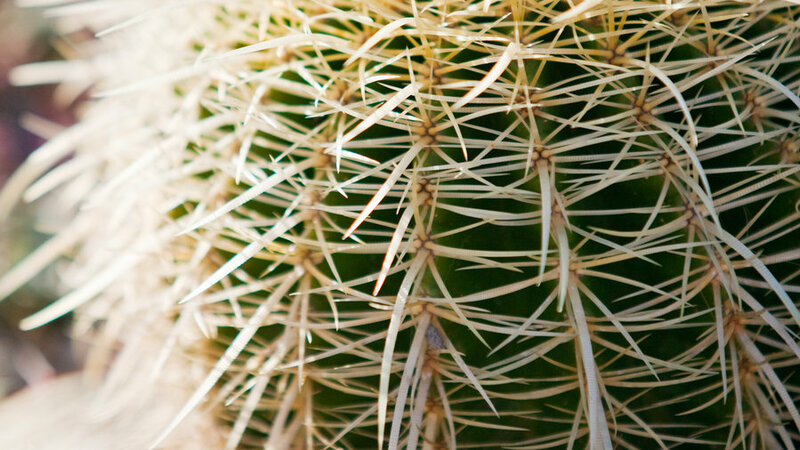 Golden spines cover this slow-growing native Mexican cactus that reaches 4 feet tall and 2½ feet wide. Small yellow flowers top the plant in summer. Sunset climate zones 12–24. This bloomer, from California and Oregon, has evergreen foliage and reaches a foot high and 10 inches wide. It’s great in rock gardens, but needs excellent drainage. Zones 1–7 and 14–17. Wispy green blades form clumps reaching 2 feet tall and wide. 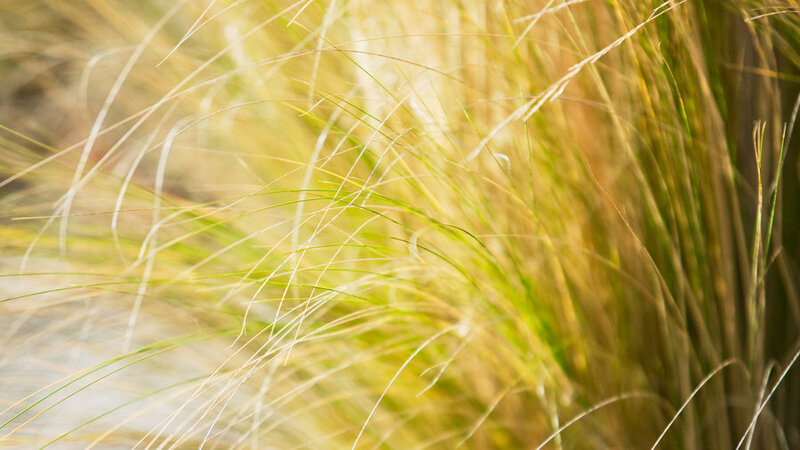 This grass found in Texas, New Mexico, and Mexico develops blond summer flower heads. Zones 2b–24. 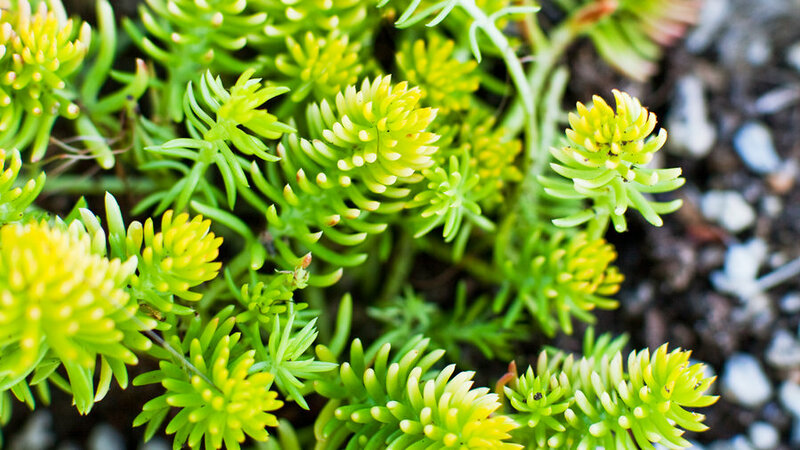 Tiny blue-green leaves form tight rosettes on trailing stems. This low grower from California makes a great groundcover. Zones 2–9 and 14–24. Felty silver foliage covers these Mediterranean shrubs reaching 3 feet wide and half as tall. 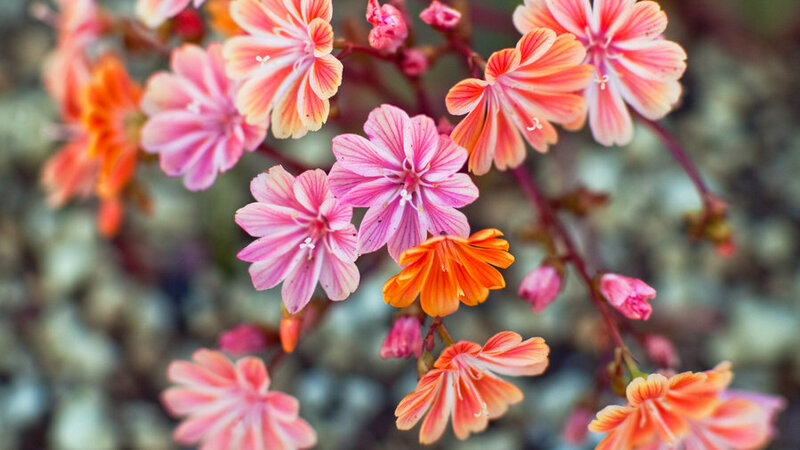 Thin stems topped with violet blooms appear from spring into fall. Zones 16–24. 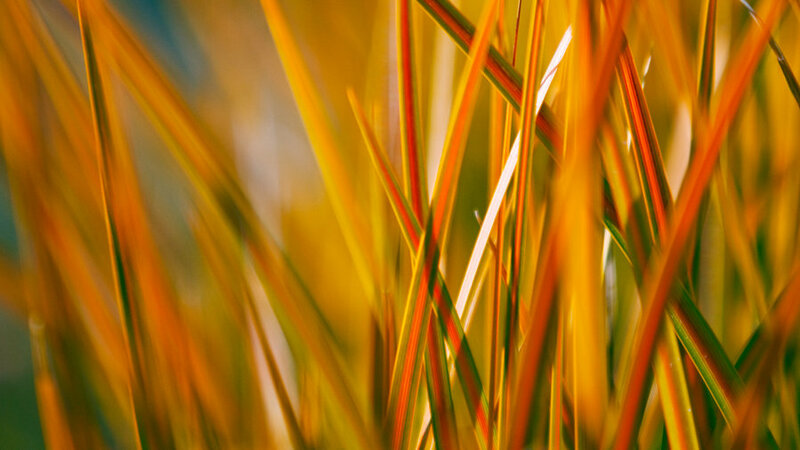 Thin, stiff orangey blades of this iris relation from New Zealand reach 2 feet tall and half as wide. Clusters of inch-wide white flowers bloom in spring and summer. Zones 8, 9, and 14–24. Short chartreuse leaves grow on stems up to 6 inches tall. 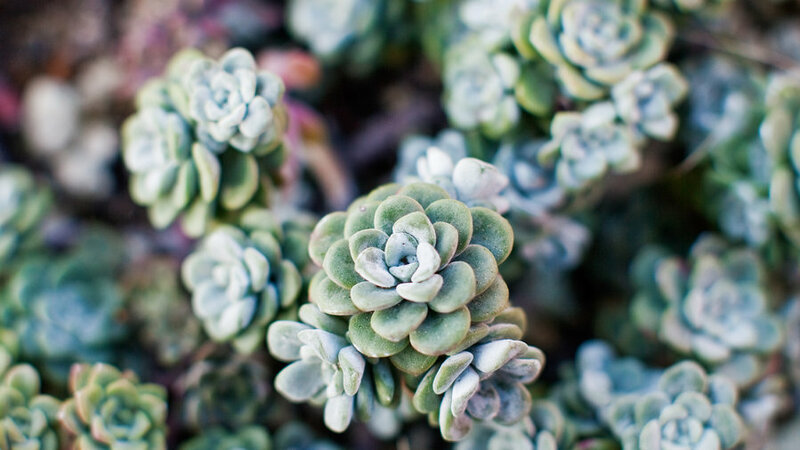 This succulent from Europe spreads freely, making it a fluffy groundcover or filler between other plants. Zones 2­­–24. 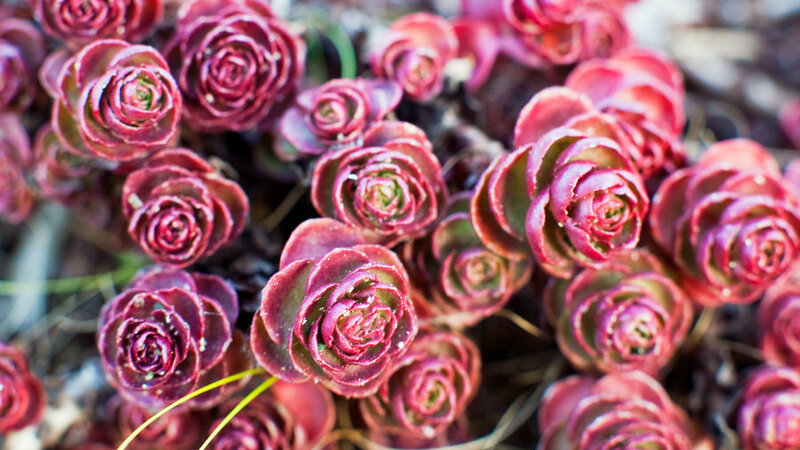 Small, rounded burgundy leaves cover this low-​growing, quick-spreading succulent from the Caucasus. Tiny reddish flowers bloom in summer. Zones 1–10 and 14–24. 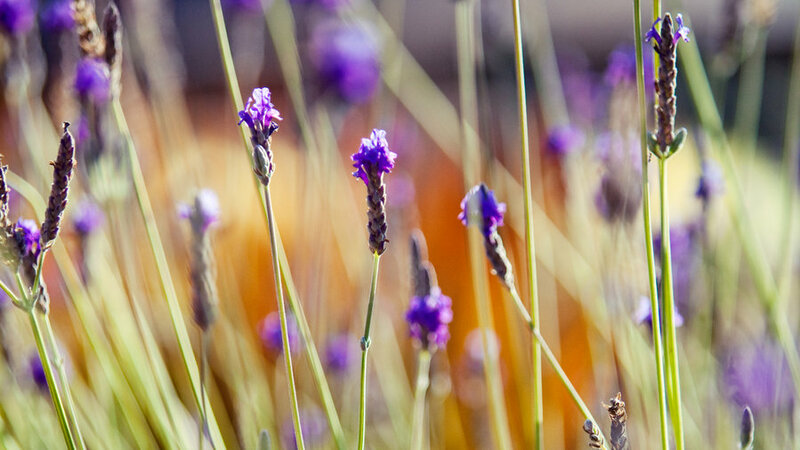 Purple-blue flower spikes rise above aromatic gray-green foliage in early summer. 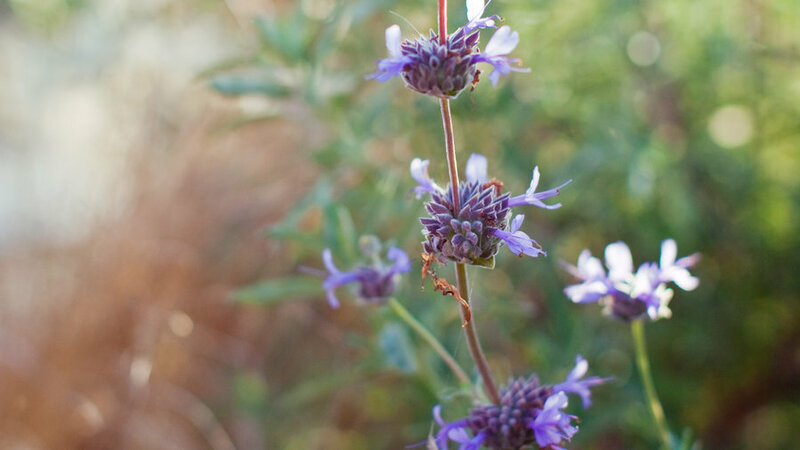 This sage, from Southern California and northern Baja, grows 3 to 5 feet tall, and 5 to 8 feet wide. Zones 8, 9, and 12–24. This European native, with gray-green, pink-tipped rosettes from 2 to 5 inches across, grows into clumps spanning 2 feet or more. Reddish flowers shoot from thin, 2-foot-tall stems. Zones 2–24. 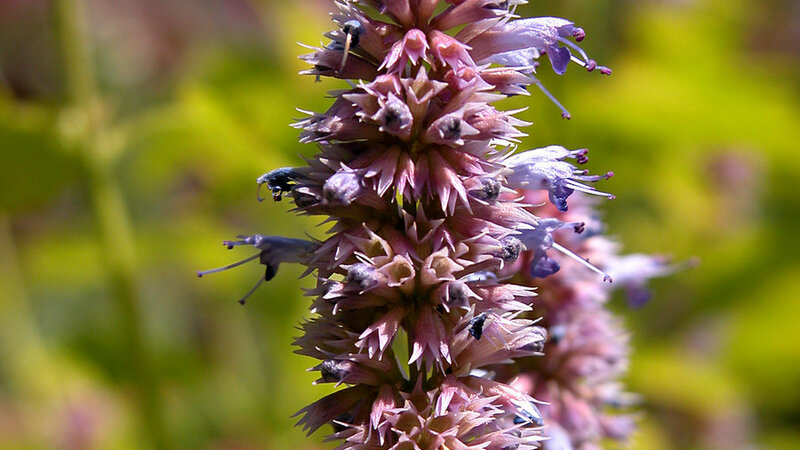 In the Southwest, swap in Agastache rugosa (shown) for Lavandula multifida. Agastache rugosa: Stems of glossy green, licorice-scented leaves reach 5 feet tall and 2 feet wide. This perennial from Korea has purple-blue summer flowers that hummingbirds love. Zones 4–24. In the Southwest and Rockies, swap in Helictotrichon sempervirens (shown) for Libertia peregrinans. 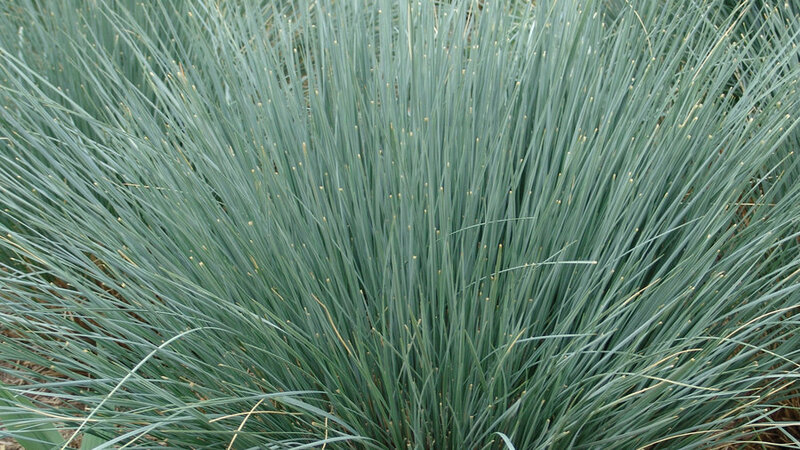 Helictotrichon sempervirens: Thin, blue-gray blades of this Mediterranean grass grow in clumps that reach 2 to 3 feet tall and wide. Blond flower clusters form 2 feet above foliage in spring. Zones 1–12 and 14–24. 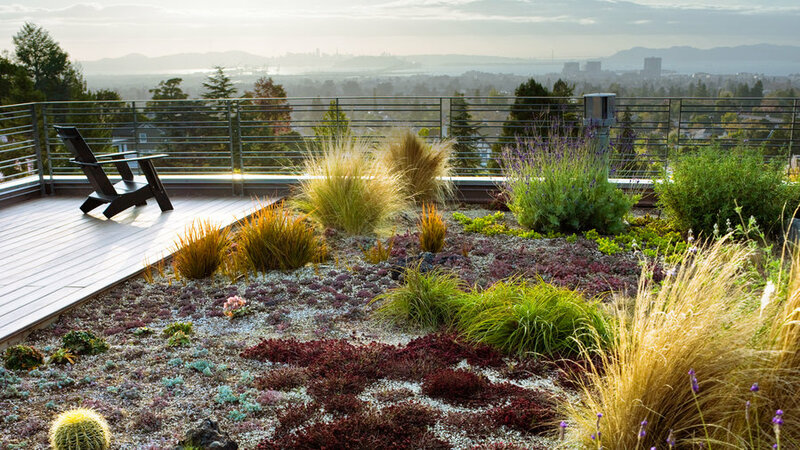 Rooftop gardens face special challenges: Since they’re constantly exposed to direct sunlight and wind, they demand super-tough, drought-tolerant plants. So if you’re looking for plants that’ll grow well in arid ground-level landscapes, a thriving green roof would provide plenty of inspiration. Especially when that roof belongs to the much-lauded Margarido House, the first residence in Northern California to earn LEED-H Platinum certification. 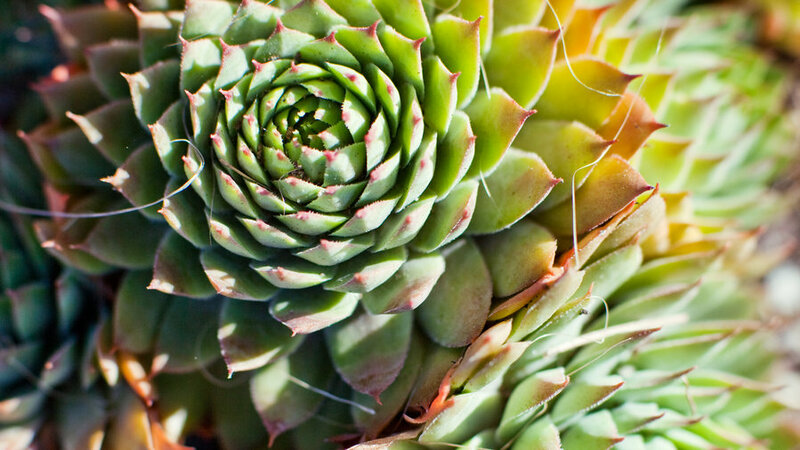 For this Oakland project, landscape designer Lauren Schneider mixed California natives that thrive in hot, dry conditions with plants that evolved in similar climates.